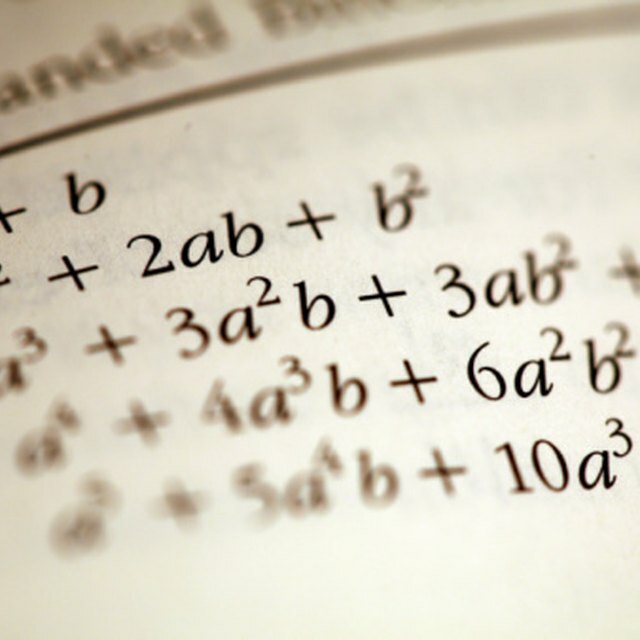 In algebra, a term is a part of a mathematical expression or equation. It can contain letters, called variables; coefficients, which are the numbers immediately preceding the variable; and constants, which are the unchanging factors, or numbers, within the mathematical statement. Equations usually contain more than one term and can include a variety of terms required to solve the problem. The easiest way to distinguish a numerical coefficient from a numerical constant is to look for a number and a variable with no operation sign between them, indicating multiplication. Coefficients can be positive or negative numbers. Examine the mathematical expression you're working on. For example, suppose you're given 5x + 3. There are two terms here, 5x and 3. Look for the variable. In this case, x is the variable. Find the numerical coefficient of x. Remember to look for the number before the variable. In this case, 5 is the numerical coefficient. The term 3 is a constant and is separated from the variable by a plus sign. Keep an eye out for negative coefficients. For example, suppose you're given the statement -y + 7 + 98. You would first identify the variable, y. Look for the numerical coefficient of y. In this case, a "1" is implied before the variable, but it's negative in this instance. Therefore, the coefficient of y is negative 1. The reason 1 is not written before the variable is that any number multiplied by 1 equals itself, such as 5 x 1 = 5. Therefore, x multiplied by 1 remains x. Omitting the 1 is a time-saver. Fuller, Tuesday. "How to Identify a Numerical Coefficient of a Term." Sciencing, https://sciencing.com/identify-numerical-coefficient-term-8258351.html. 13 March 2018.